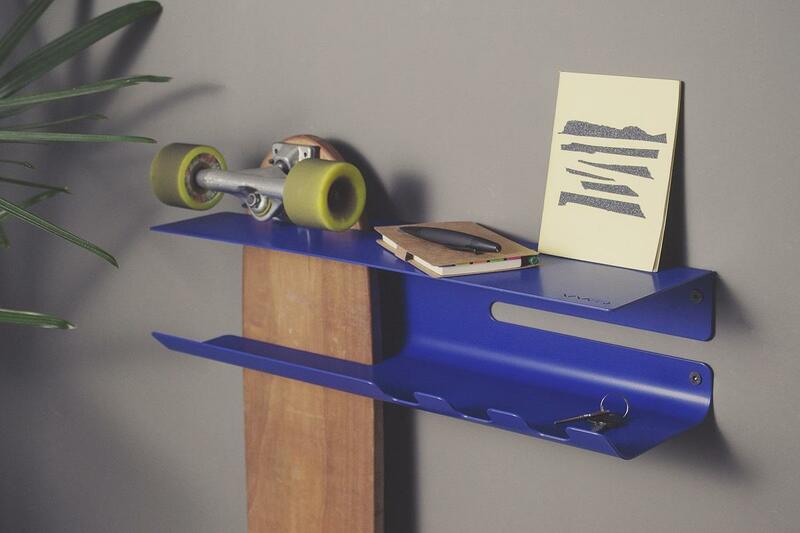 We are Zanocchi & Starke, italian-brazilian design studio. 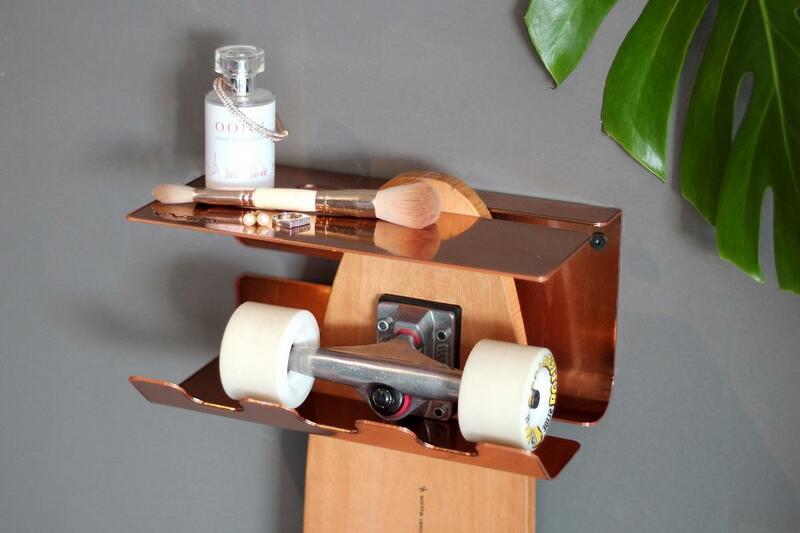 We would like to introduce you Wall Ride and MINI Wall Ride. With Wall Ride the wheels of the skateboard never risk dirtying the walls and the graphic of the deck is always in plain sight. 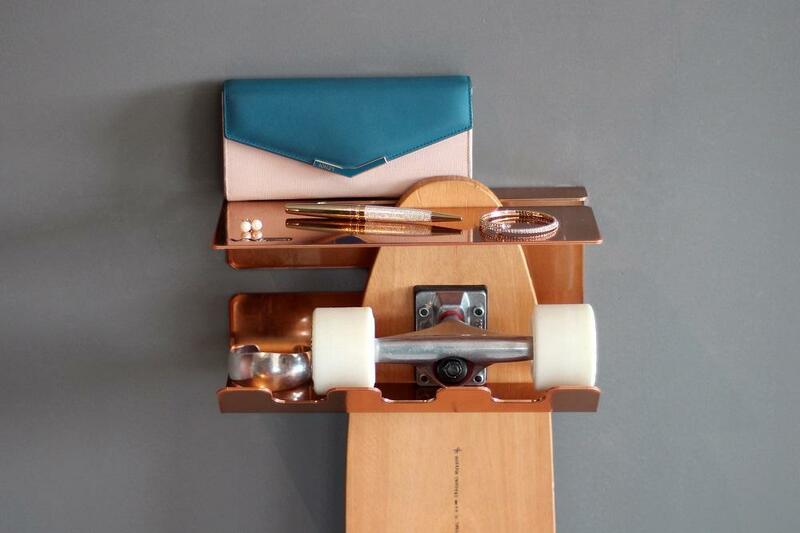 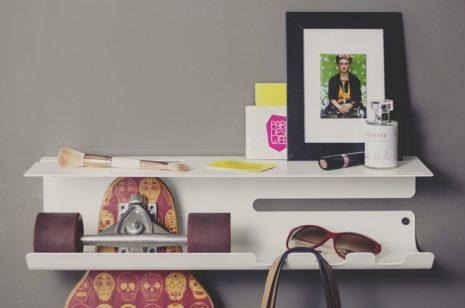 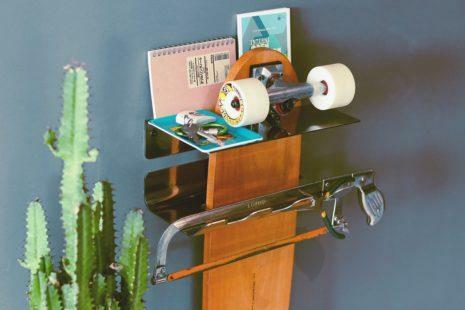 Three hooks and two shelves allow to hang and host anything else used in everyday and making it useful for those who do not have a skateboard yet! Furthermore, the same slot used to slide the skate into the rack serves as a handy bottle opener. 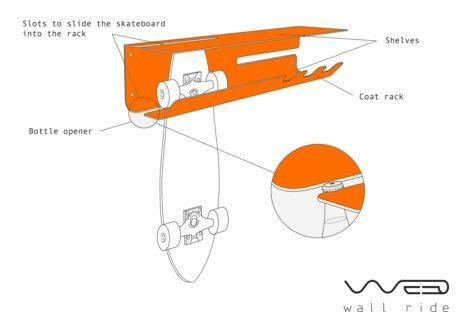 MINI Wall Ride is the compact version of Wall Ride.